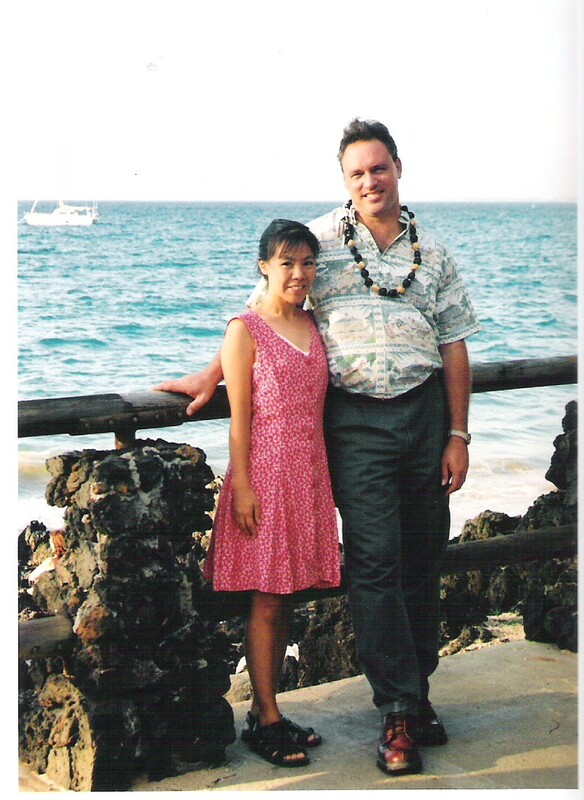 Wedding photo at beautiful Kahala Beach in Honolulu, Hawaii, just minutes away from your hotel in Waikiki. 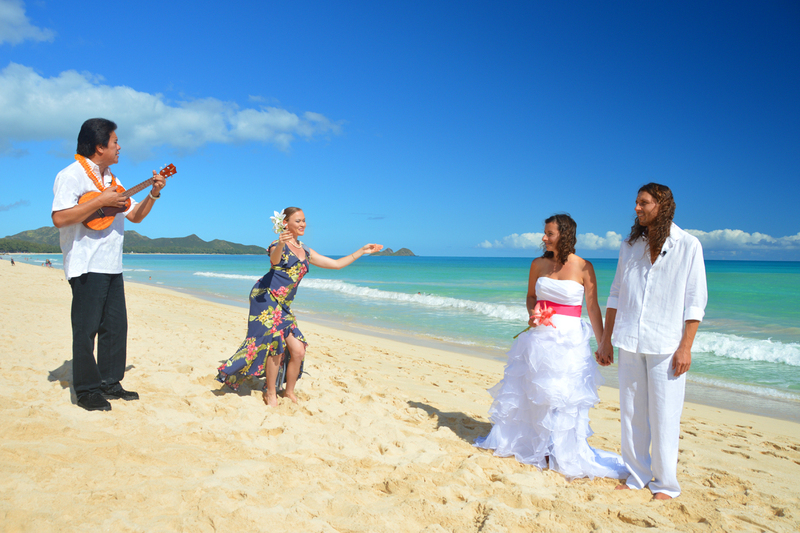 Adding a Ukulele Musician and Hula Dancer to your wedding let's the world know that you really had a "Hawaiian" wedding. 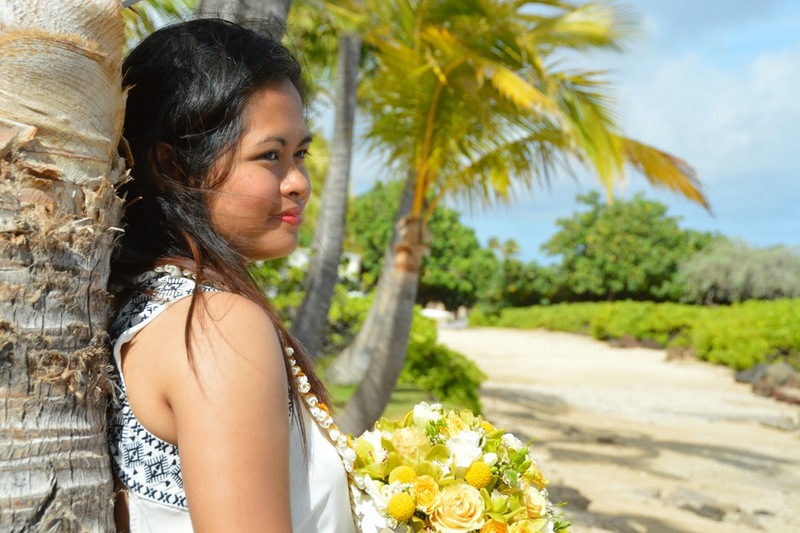 (C) Copyright May 2015. All rights reserved. 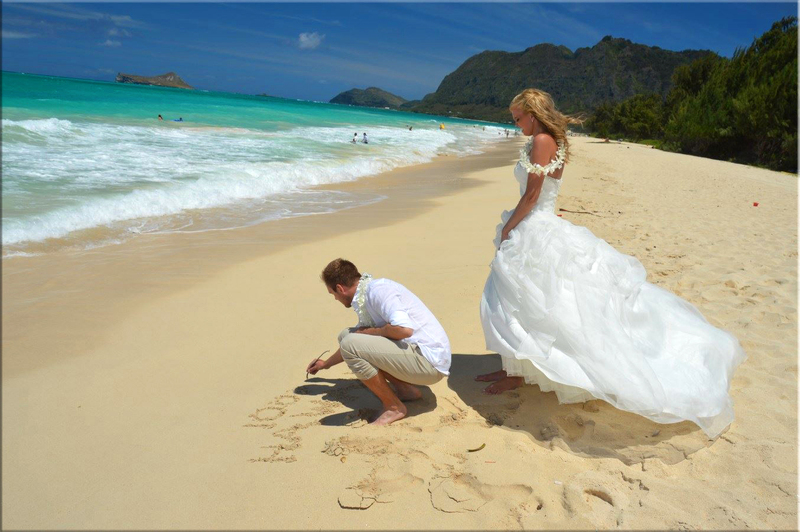 BRIDAL DREAM WEDDING COMPANY Serving Hawaii since 2000.